A ballot initiative that could be voted on during the 2016 state general election appears to have strong support, according to polling released exclusively to TMS. If passed, the initiative would automatically register Alaskans to vote when they sign up for their Permanent Fund Dividend (PFD) each year. 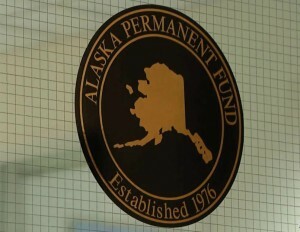 The Alaska Permanent Fund distributes money to those citizens who qualify by doing nothing more than living in Alaska and taking the time to register each year. This dynamic gives state government a unique tool to collect data and track its population. Whereas many citizens are leery about volunteering information about themselves to the government, the prospect of receiving as much as $2000 proves a powerful incentive for them to do so. As a result, Alaska is the only state in the country the census bureau recognizes as having as good or better data than theirs on local populations. This initiative would attempt to harness that same dynamic in increasing voter registration and make state the voter database more accurate. The initiative is currently gathering the signatures necessary to be put before voters. That would take 28,545 signatures from currently registered voters. Since this is a politics and media blog, let me be be political for a moment. The partisan ramifications of the measure aren’t quite clear. The initiative would almost certainly register large numbers of traditional democrat populations like young people and rural residents, but it would likely do the same for traditionally republican groups such as active-duty military personnel. The real political ramification could be that it would do a lot of a political campaign’s work for them. With broader and more accurate voter registration information political parties and candidates won’t have to invest nearly as much in voter registration or voter ID efforts. More accurate registration records also mean voter contact via mail and door-to-door efforts become easier and more effective. Polling conducted by Harstad Strategic Research, Inc. shows strong initial support for the initiative. The poll was conducted between August 6-11 and sampled 402 people who voted in the 2014 state primary election. “This act would instruct the Division of Elections to register qualified Alaskans to vote when they apply for the Permanent Fund dividend — or P.F.D. If a person registers to vote for the first time through this P.F.D. process, the Elections Division would check the person’s information with state records to ensure the person is an eligible voter. 60% of respondents said they would vote for such a measure and 24% said they would vote no. Those are good numbers for the initiative with more than a year to go before the election. It is worth pointing out, however, that no opposition to the initiative has yet emerged. When or if it does, those numbers could certainly change. Be the first to comment on "Voter Registration Initiative Popular In Initial Polling"